Cheese zombies are a classic school lunch favorite once served all over the country, made from white bread of some sort and melted cheese. Some schools served cheese zombies that are balls of dough filled with cheese, while others looked more like grilled cheese sandwiches. Soft white bread and orange cheese are generally used, along with processed American cheese or Velveeta. The bread is often fluffy, more like a roll and less like sliced bread. Why are they called cheese zombies? No one seems to know! This is a version of the Cheese Zombie and it is essential that you use orange-colored cheese; a Cheese Zombie just wouldn't be the same without it. However, instead of using American slices or Velveeta, consider trying orange cheddar which updates the recipe slightly for adult palates. You could use homemade bread dough for Cheese Zombies, but that seems like too much work and a little too fancy for a zombie. 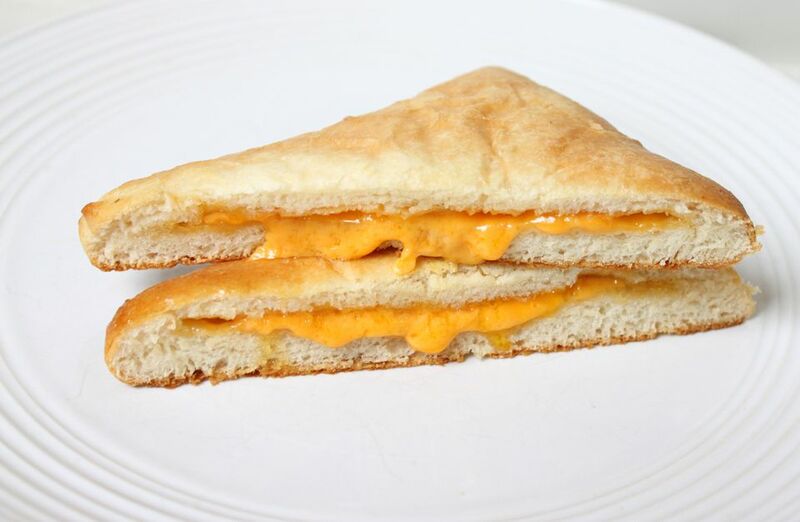 Crescent rolls are a perfect solution, giving the Cheese Zombie a buttery, doughy flavor. Open the tube of crescent rolls. Gently unroll the dough to form two rectangles (ignore the dotted lines that separate the dough into eight triangles). Cover one side of each rectangle with your desired amount of cheese slices. Fold the other side of the rectangle over the cheese to form a smaller, enclosed rectangle. Gently pull the edges of the top layer of dough over the sides of the rectangle, pinching the edges to seal the dough into a pocket that the cheese is enclosed in. Repeat this process with the second dough rectangle. Bake on a cookie sheet for 15 minutes until lightly browned.